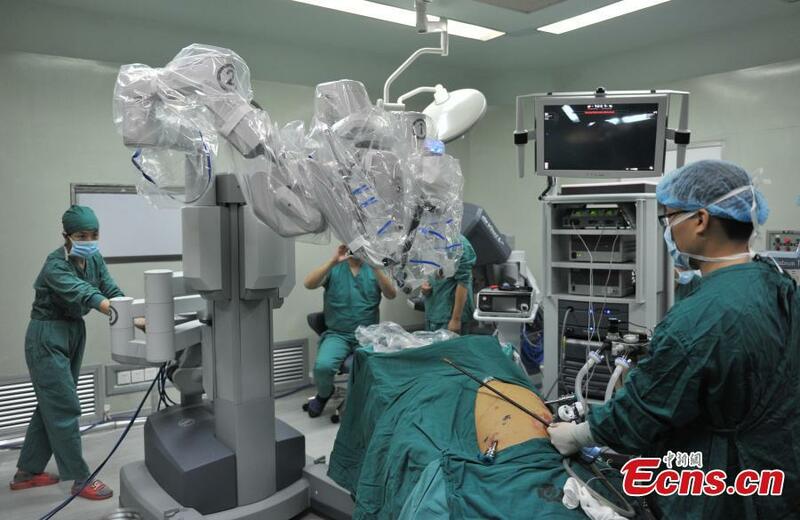 Robotic surgery is now being used by hospitals in China, with the da Vinci surgery robot system completing its first operation at the Provincial People's Hospital in Chengdu. The 30 million yuan ($5 million) system can perform accurate and less invasive surgery in cases such as prostate cancer and gallbladder procedures but has been criticised by some clinicians as being an expensive system with a steep learning curve that does not offer any real improvements in outcomes compared to conventional surgery. China is turning to Australia for advice and training in how to expand its primary health system. The National health and Family Planing Commission has asked Melbourne-based Professor Shane Thomas of Monash University to help guide the pilot programs of primary care taking place in Shenzhen. Monash is also hosting 24 Chinese health managers who are attending a leadership-training program at the School of Primary Health Care. A Chinese man with cancer who became famous for using Weibo to solicit donations for his medical bills has died. Noodle shop owner Li Gang of Zhengzhou raised $16,000 to pay for medical treatment which he could not afford in 2012. His message went viral and he had many visitors to his noodle shop, but some commentators said it highlighted the lack of affordable medical care for most Chinese people with cancer.